Take a step away from traditional farm animals for a minute and explore just what else you can introduce to the child's farm. You may well agree big toy farm animals such as cows, pigs, sheep and chickens all play a crucial role in your child's farm role play. But a few already well known animals, and a couple of unusual ones really help young ones to learn about new types of animals and there behavior. Explore current farm animals you will certainly be family with, but not think to add to the yard. 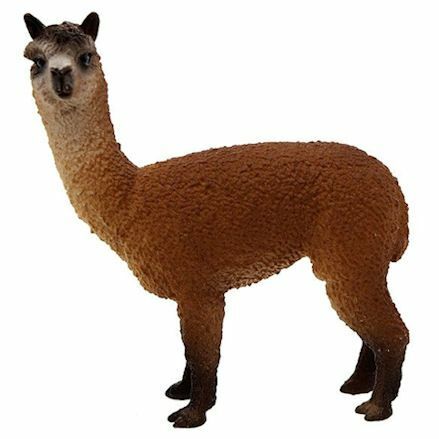 But more importantly a unique animal to protect your flock in an Alpaca. And remember, most these animals can mingle on the yard and graze out on the field. Yes, you heard it right, those South American, big woolly, long neck animals that spit right at you - but you'll be pleased to know they don't all do that. So they will be perfect to co-habitant with your sheep flock to look after the lambs from predators like foxes. Pick yourself up a Schleich Alpaca and pop it on the sheep farm. It will happily graze out on the field and drink from the trough, all well scaring away dangerous animals to your herd. Alpaca's will also look after chickens well not coursing any trouble themselves. 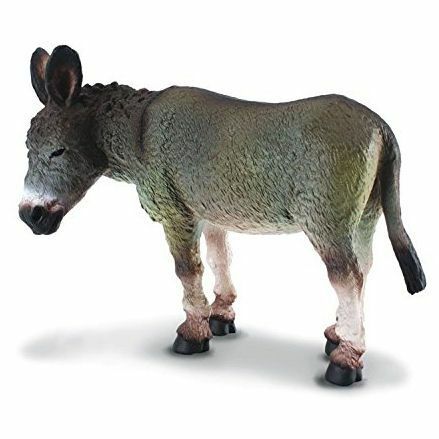 If you have a spare farm shed or stable available then a toy donkey will be very happy to accommodate the space. You may wonder what attributes the donkey provides to the farm, and any educational aspect at all, but donkey's are very loving animals and will live with horses and ponies quite happily. 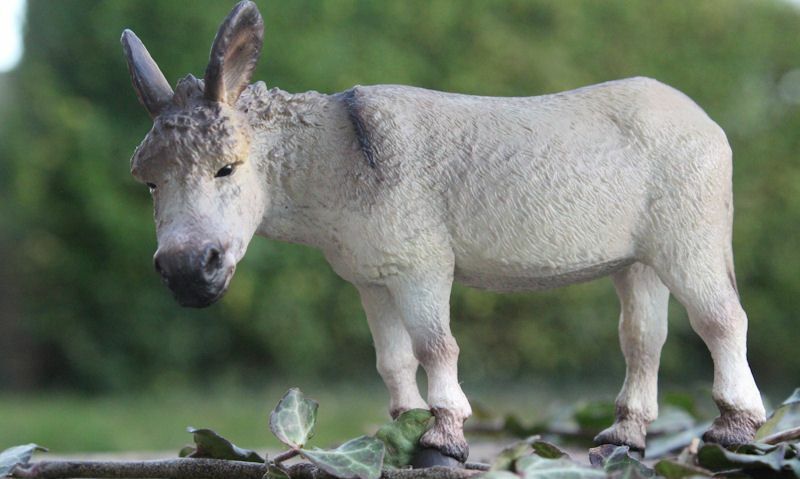 You can make the most of your donkey by tying him up in the yard, with hay to lay down and eat so passing families can have a stroke and picture taken. There's more, pop the donkey in the horse box and take it to the beach for kids to ride up and down the beach. If your young farmer already runs a farm with plenty of sheep, then they will be ready to take on a few toy goats to live amongst the sheep, in the shed or on the field grazing. If you raise sheep for dairy like milk, butter and cheese, goats can do all these things to. You shouldn't get to much trouble from goats; they will stand on anything high, even the sheep themselves given half the chance. But these are small farm animals and easily handled by the farmer. 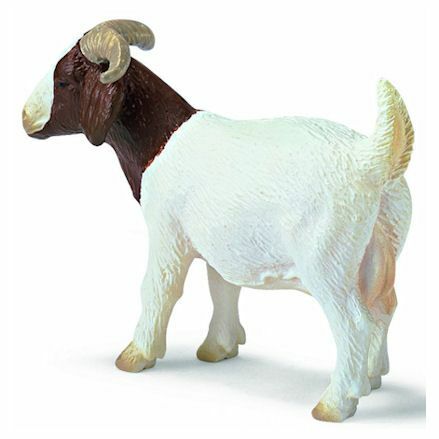 In case of Schleich 'Farm World' series, where the sheep fits the goats can follow. 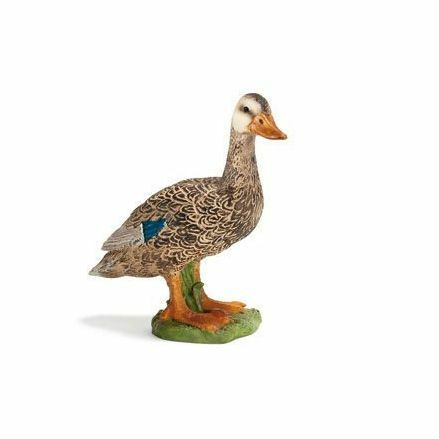 Quite simply, having ducks around the place really livens up the farm, bringing a joyful scene to an otherwise dull yard, whether they gather around the pond, or any bit of area with still water. Ducks can be used for meat, but they're more enjoyable left where they are. You're not limited to toy ducks mind you, you can add geese or even swans, but ducks will always make the child smile. Gather a handful of ducks in different breeds close to an area designated as the pond, here they will stand still lucking the part and bring a little wild life to the scene. Back in the day field work out in the farm was usually done by a big Shire horse (or Draught horse), pulling along a plough with the farmer controlling from behind. But don't worry these are big, strong beasts, bread to work the land. But even today, you can use a toy horse to drag along small tools like ploughs, cultivators and other implements. During the day your horse lives in the comfy barn, lying on a soft bed of hay, munching away. 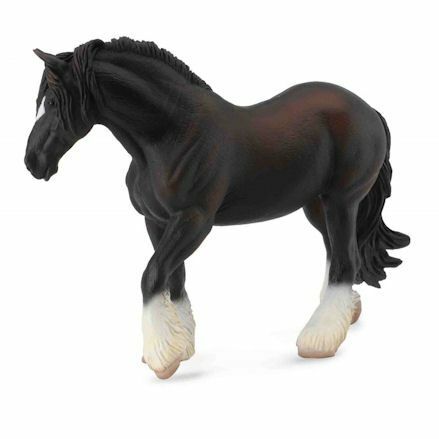 There's no toy stables made for Collecta horses, but if you do need one then we suggest you invest in Schleich or Papo as they do supply horse stables.